Tastings have long been a Dublin Irish Festival favorite. 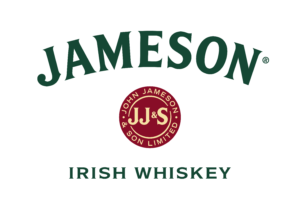 This year’s tastings will take place throughout the weekend in the Jameson Whiskey Tasting Snug. Registration is required for all tastings. 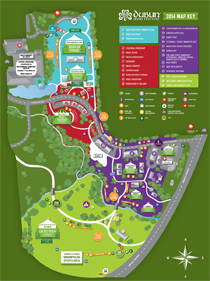 More information on tasting tickets is coming soon! 2:30, 4, 6:30 & 8 p.m. 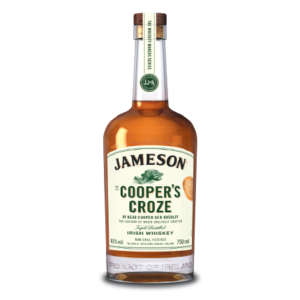 The Cooper’s Croze – part of the Whiskey Makers Series – is an Irish Whiskey that celebrates the craft of Jameson’s Head Cooper, Ger Buckley. The Cooper’s Croze is a carefully crafted whiskey that effortlessly carries vanilla sweetness, rich fruit flavors, floral and spice notes and the undeniable influence of oak. You can take whiskey out of wood but you can never take the wood out of whiskey. 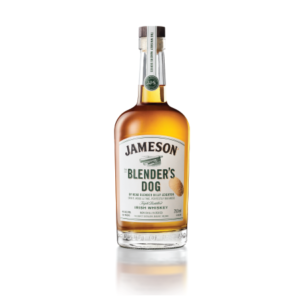 The Blender’s Dog – part of the Whiskey Makers Series – is an Irish Whiskey that celebrates the craft of Jameson’s Head Blender Billy Leighton. We’re not sure if he possesses a musical note in his head but harmonizing Irish whiskey is his main pursuit. This is Jameson’s tribute to his skill and the tool he uses to hear his whiskey sing – his blender’s dog. The Green Spot name originated from the Mitchell family’s practice of marking casks of different ages with a daub of colored paint. 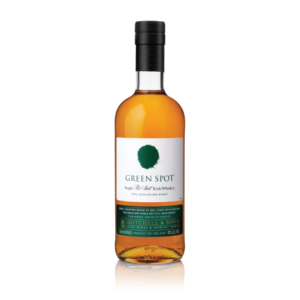 Originally there was a ‘Blue Spot’, ‘Red Spot’ and even a ‘Yellow Spot’, but Green Spot emerged as their most popular whiskey and is one of the few “whiskey bonder brands” to survive to modern day. Single Pot Still whiskey is unique to Ireland in general and to the Midleton Distillery, Co. Cork, in particular, and is regarded as the quintessential style of Irish whiskey. Made from a mash of malted and unmalted barley and then triple distilled in traditional copper pot stills, Pot Still whiskeys are characterized by full, complex flavors and a wonderful, creamy flavor. The next great IPA is… a whiskey. 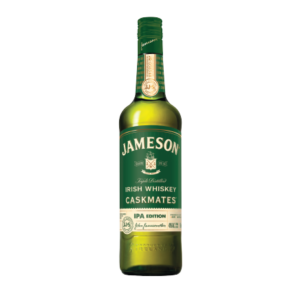 Introducing Jameson Caskmates IPA Edition – a whiskey that is finished in IPA beer barrels for floral, crisp, hoppy notes. Like craft beer? Well, why not try a whiskey that incorporates all the great flavors of an IPA. 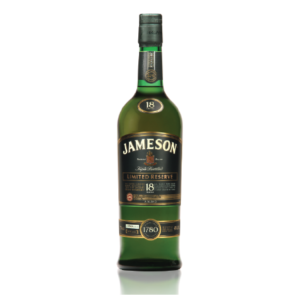 We matured Jameson Irish whiskey in Irish Pale Ale-seasoned barrels, and the end result is something people (well the guys at our Midelton Distillery for one) are calling the next great IPA…So, if you’re a fan of beer, of trying something new, or simply want to be the first to introduce your mates to their ‘new favorite drink’, try Jameson Caskmates IPA today! It’s a whiskey with a little extra hop. 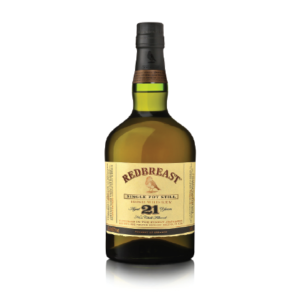 The Redbreast 12 is our signature bottling, full of aroma and flavour, Redbreast 12 Year Old benefits from a strong contribution from distillates which have matured in Oloroso sherry casks, giving it its trademark Christmas cake character. One of the most decorated Irish whiskeys, Redbreast is the largest selling Single Pot Still Irish Whiskey in the world. Regarded as the definitive expression of traditional Pot Still Irish whiskey, Redbreast dates back to 1903 when Jameson entered into an agreement with the Gilbeys Wines & Spirits Import Company to supply them with new make spirit from their Bow St. Distillery. The custom of that era was that distilleries sold bulk whiskey to ‘bonders’ who, being in the business of importing fortified wines such as sherry and port, had ample supplies of empty casks in which to mature new make whiskeys under bond. Matured for 18 years in hand-selected oak casks from Europe and America, this rare whiskey is finished in first-fill bourbon barrels. This rite of passage introduces subtle traces of vanilla to an exceptionally balanced, mellow whiskey with a lingering finale of wood, spice and toffee. An elder statesman of our portfolio, each bottle of this unique whiskey is individually numbered. Created in 1984 and released annually since then, Midleton Very Rare is one of the most exclusive and sought after Irish whiskeys. Once a year our Master Distiller hand selects only the finest and rarest whiskeys available to him and then carefully blends them to create each annual vintage of Midleton Very Rare Vintage Release. Only a limited number of bottles of this unique Irish whiskey vintage are released each year. Redbreast 21 year old is the finest representation of the signature Redbreast sherry style – it is the oldest and richest expression of Redbreast ever produced; and the 21 year ageing process introduces new levels of depth, flavor and taste to create an inherently complex and ultimately, rewarding whiskey. It is made from a mash of malted and unmalted barley, triple distilled in copper pot stills, and finally, matured in a combination of American bourbon barrels and first fill Spanish oloroso sherry butts. 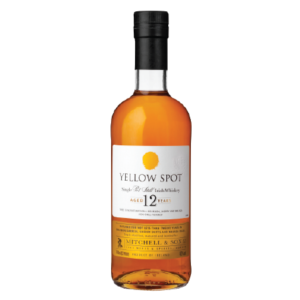 The Yellow Spot, name was derived from the Mitchell's practice of marking their maturing casks of whiskey with a mark or daub of coloured paint to determine the age potential of the whiskey. Blue Spot was a 8 year old, Green Spot a 10yr and Yellow Spot a 12year old, Red Spot a 15. In time, all but Green Spot disappeared, with Yellow Spot last being seen on whiskey shelves in the early 1960's.